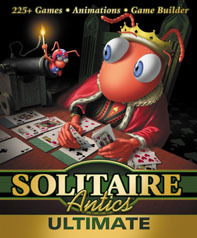 Ant Software is a small, privately held, Denver based company founded in 1989. We specialize in development of entertainment software. Our first product was a shareware game called Paigow Poker in 1989. After this, we made an extended foray into screen saver development beginning with the shareware Deskpic for OS/2 1.x and Screen Peace for Windows and continuing through thirteen separate releases of various versions of Intermissiontm. Recently we've focused mainly on games - especially Internet and AOL based games such as Masque Casino Pokertm, Masque Classic Card Games and Discovery Channel Multimedia's CatchWordtm.